Top Shot former Champion Dustin Ellerman likes his Volquartsens, and we can see why. 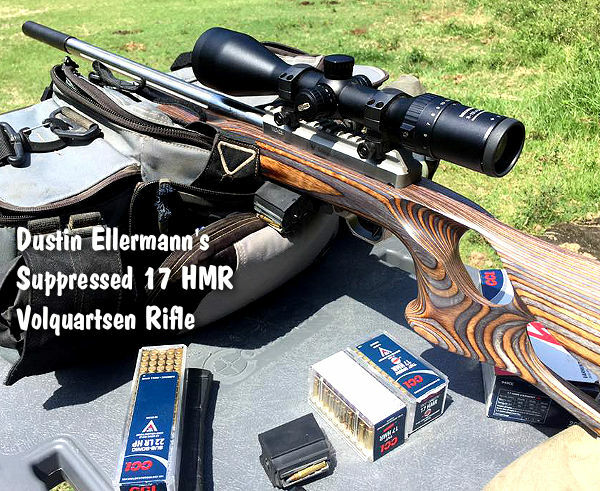 With his latest 17 HMR rimfire varminter, he’s seen some outstanding accuracy with CCI ammo. On his Facebook page, Dustin reports: “Prepping for prairie dogs and I’m floored by this cold, sub-half-inch group shot with the Volquartsen Custom 17 HMR at 100 yards.” This thumbhole-stock rifle features a Bowers Group USS suppressor, and 3-12x56mm Meopta Scope. Dustin tried different types of CCI 17 HMR ammo. 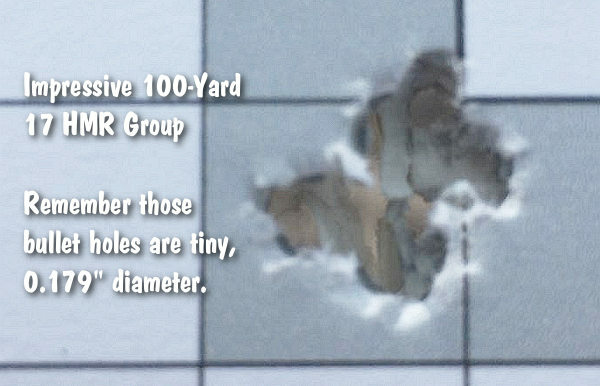 This small group was shot with CCI A17 ammo. 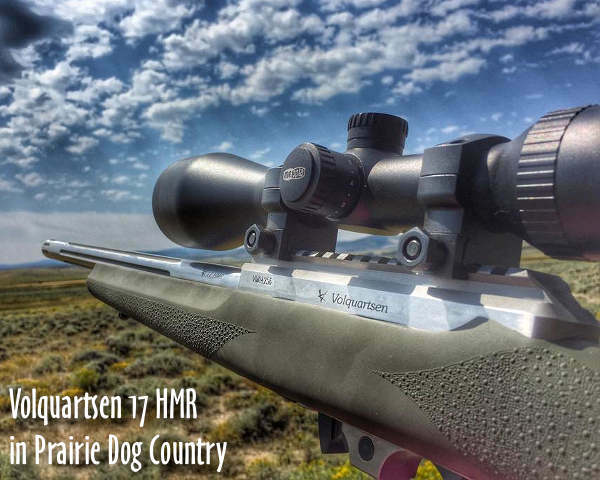 After that 2015 P-Dog expedition, Dustin became a fan of the 17 HMR cartridge: “Never paid it much attention before now because the ammo is five times more expensive than .22 LR and I mostly target shoot. However, for prairie dogs, the 17 HMR is amazing!” Consider this — Hornady’s 17 HMR ammo pushes a 17gr V-Max bullet at 2550 fps, twice as fast as typical .22 LR rounds. Share the post "P-Dogs Beware — Dustin’s Wicked Accurate 17 HMR"